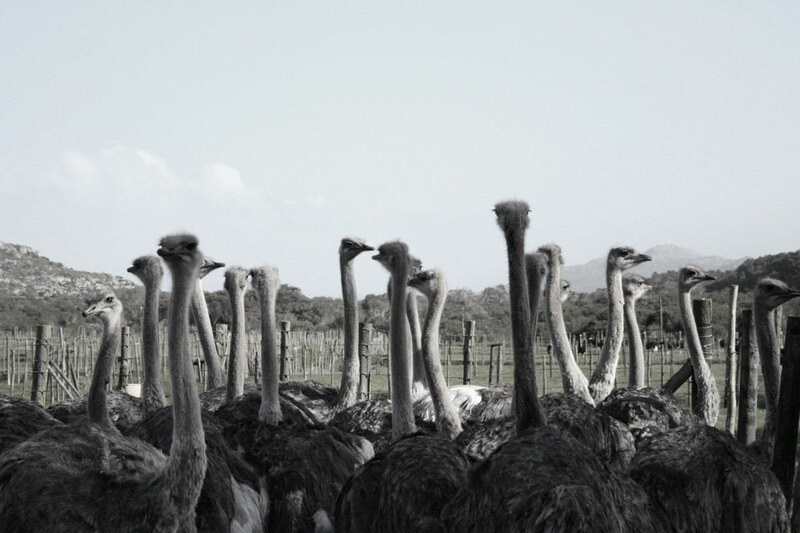 The Cape Point Ostrich Farm was established in 1996 and turned into an ostrich breeding farm by the vision of Angelika Coelle. The 65ha farm was undeveloped and only the ruins of the 19th century Cape Dutch style buildings were visible underneath the growth of many years. Dr. Coelle and his wife Angelika had a vision and within the year they had accomplished to turn the dormant land into a natural landscape breeding farm. The family run business has passed into the 2nd generation and is now managed by their daughter Catherina. 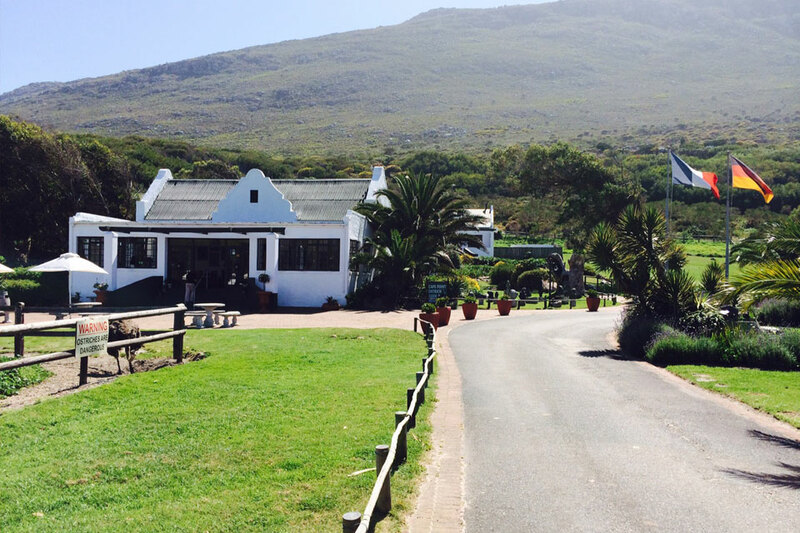 The Cape Point Ostrich Farm lies on the most beautiful part of the Cape Peninsula. 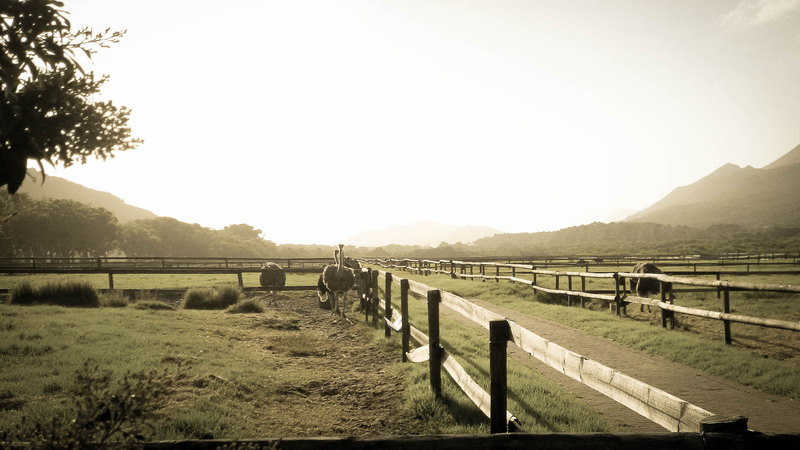 The farm is 50km from Cape Town, next to the Cape of Good Hope Nature Reserve (Cape Point National Park). The drive to the farm is one of the great scenic routes of South Africa leading to the Cape of Good Hope, either via Simons Town or via Scarborough. The farm is easy to find on Cape Town’s route M65 south, 400meters north of the entrance to the Cape Of Good Hope Nature Reserve (Cape Point National Park). You are most welcome to join us on a guided tour of the farm. Our well trained team will be more then happy to show you around and give you detailed information about the life cycle of an ostrich from egg to the adult bird. Being a productive breeding farm, everything is done to comfort and accommodate our 40 breeding birds. 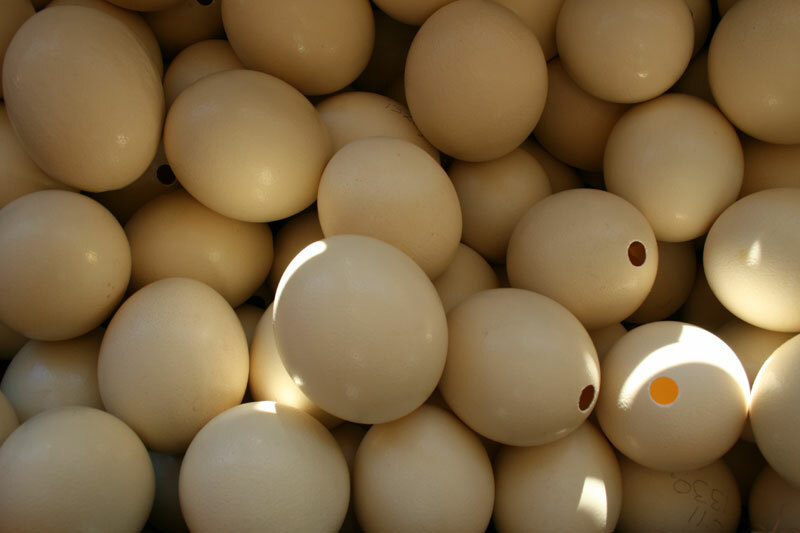 They live in 40 camps and ensure that there are always plenty of ostrich eggs to be incubated. 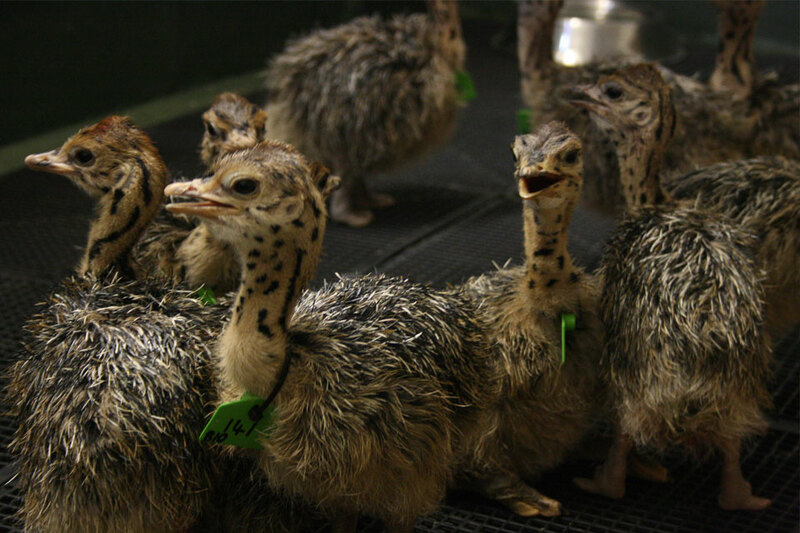 During the breeding season, quite often you will be able to experience the hatching of our ostrich chicks. Please join us for breakfast or lunch in our farm style restaurant. The Hatchery offers fresh food and beautiful settings. Enjoy your lunch overlooking the ostriches. For bookings and menu options please contact us directly. 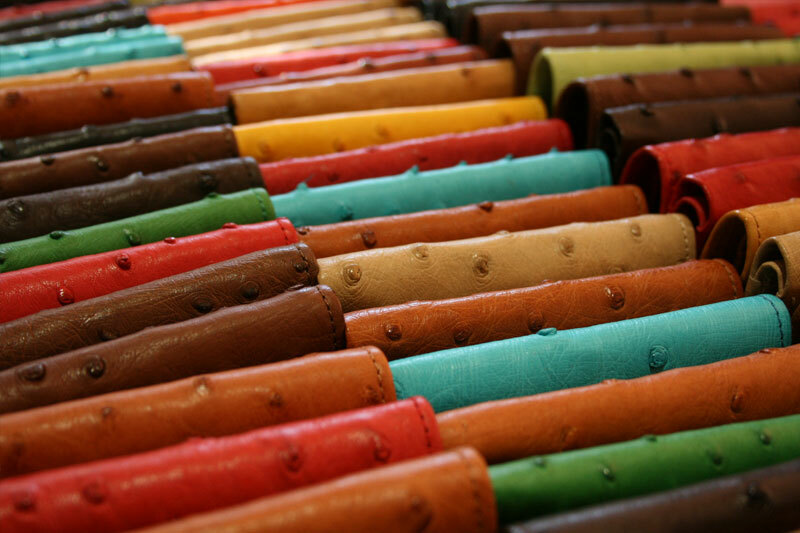 Explore our great selection of fine leather goods. 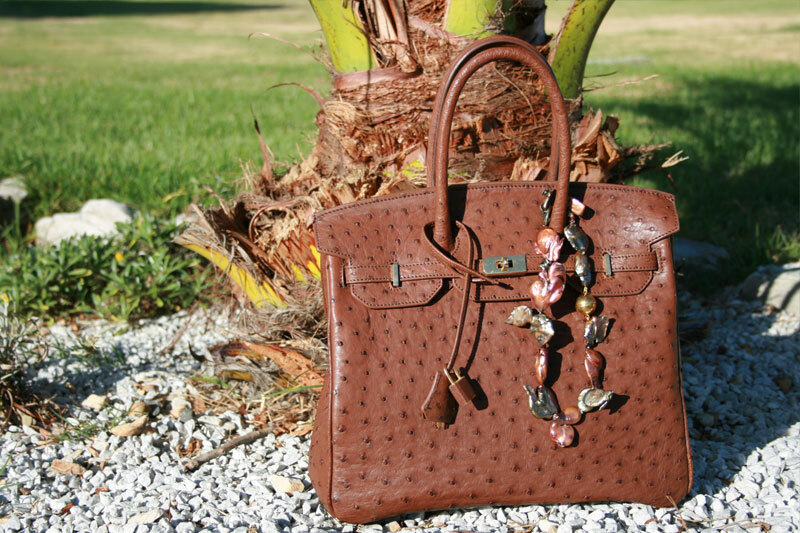 People who love quality leather will appreciate our wide selection of exquisite ostrich leather products. 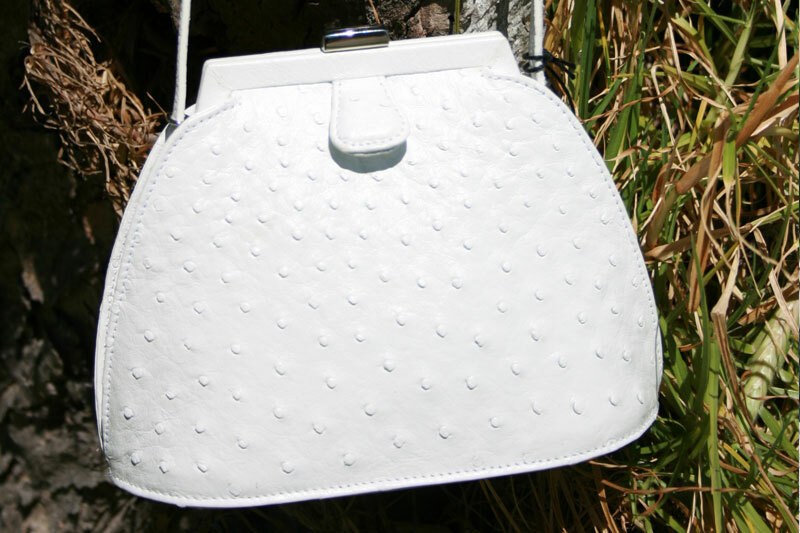 Handbags, belts, wallets and shoes are just some of what we have to offer. 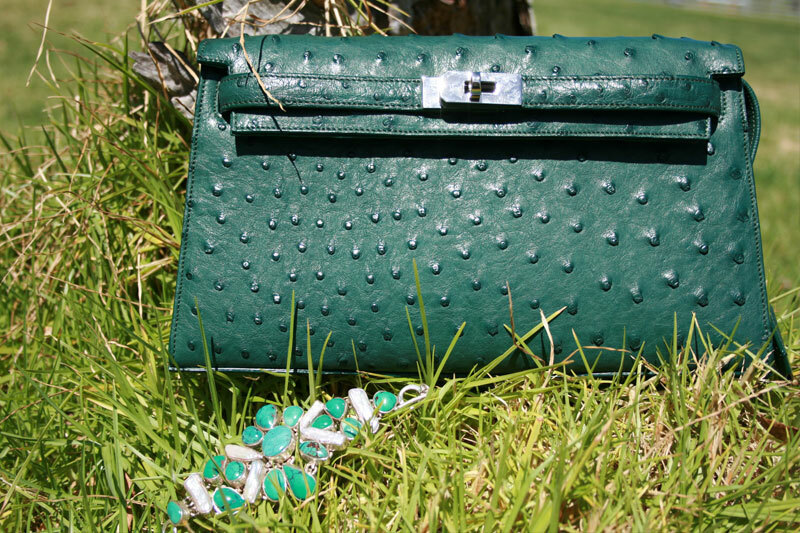 See our exquisite selection of ostrich leather products, from skins to the most exclusive handbag. You will find a wide range of classical and fashionable styles in various colours. 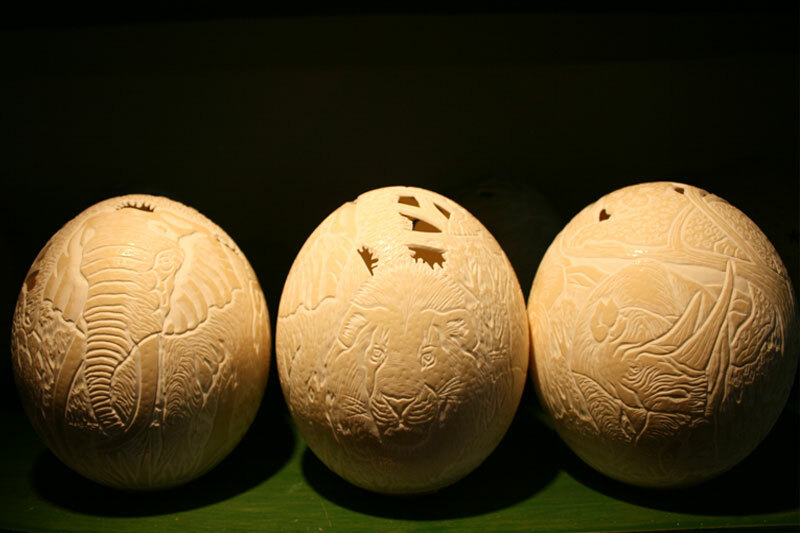 We have a wide variety of ostrich eggs and pride ourselves in supporting our local artists. 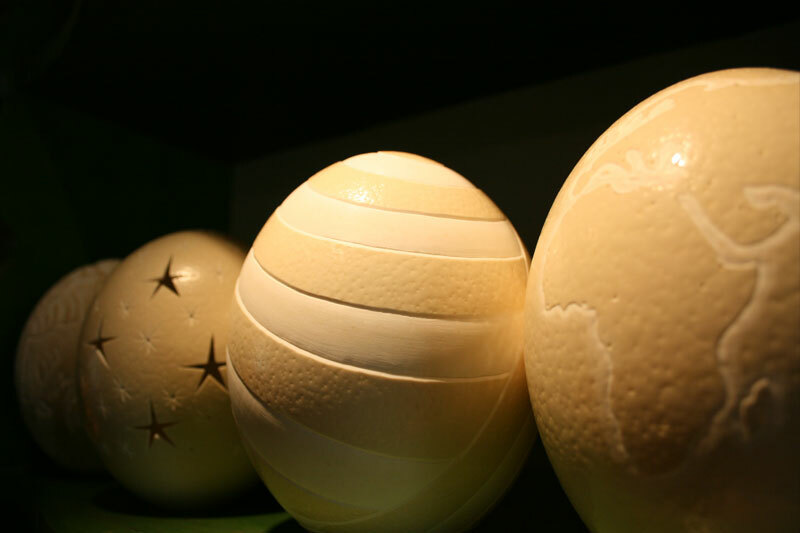 Ostrich eggs are a marvel to behold, the magic that is worked on some of our caved eggshells are beauty in itself. 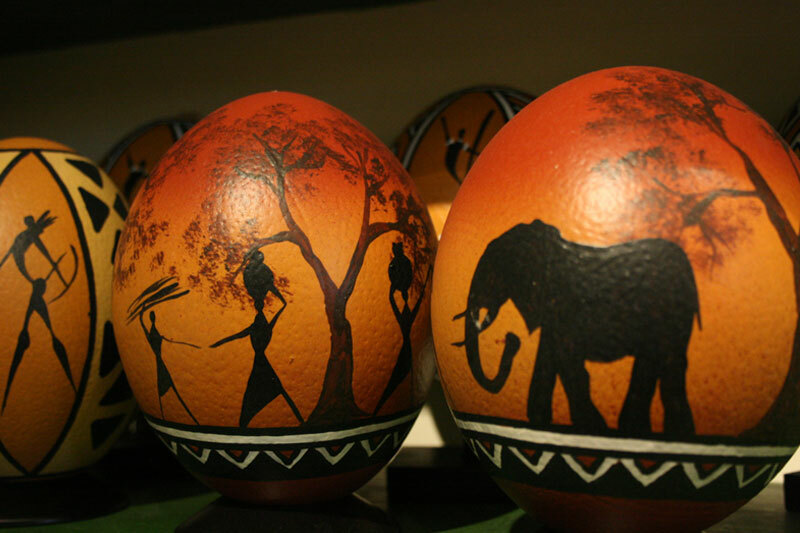 The eggs vary from plain, decoupage to intricately carved egg shells that can either be used as lamps, candle holders or wind lights.